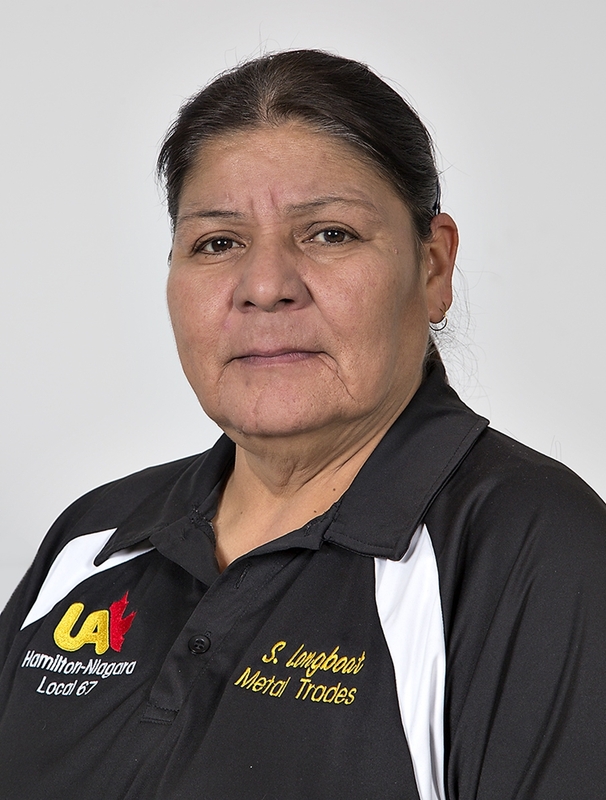 Shelley Longboat is helping change the face of skilled tradespeople. Women continue to be under represented in many trades, with few working as electricians, mechanics, welders and millwrights for example. But, after returning to the classroom recently, the now 52-year-old has become a mentor to other women embarking on non-traditional careers. "Shelley is a particularly bright beacon for young women entering the skilled trades, providing them with an understanding ear to the complexities of being a woman in a male-dominated field," said Valerie Vanderwyk of the Technical Trades Academy who nominated Shelley as an Education WORKS Champion. Shelley, who is from Six Nations of the Grand River, dropped out of high school in Grade 9 and supported herself as a waitress and cleaning nursing homes, among other jobs. When she was about 20, Shelley took a training program that involved learning skills for home renovation, including roofing, siding and framing. "I knew then I wanted to be in trades," she said. "It was my first taste and I was hooked." After having her son, Shelley became a stay-at-home mother for a time. She was later derailed from working by injuries sustained in a couple of accidents. In 1994, Shelley earned her welding ticket. The following years were devoted to caring for her ailing parents. In 2009, she received her General Education Diploma (GED) through Grand River Employment and Training. "It was the last thing my father saw me do before he died," said Shelley. "He was so proud." In 2010, Shelley took a Mohawk College program at a small Six Nations campus where she worked hands-on in welding and automotive shops, earning the Aboriginal Post-Secondary Education and Training Award. "My son was in the program at the same time I was," said Shelley. "It was fun to look over and ask him to pass a wrench." In 2013, Shelley was in the first Pre-Apprenticeship in Welding and Plumbing for Women program at the Technical Trades Academy. The academy is a Ministry of Training, Colleges and Universities sponsored pre-apprenticeship training program designed to attract women to the skilled trades of welding, plumbing and steamfitting. After graduating, Shelley joined the staff at the academy. "She is an important part of the development of new training at the academy for courses to advance the current skills of tradespeople in the piping industry," said Vanderwyk. "Her aboriginal heritage provides insight into the cultural sensitivities many First Nations people experience when adjusting to new environments and experiences away from the First Nations territories." Shelley said that throughout her life she has always been open to learning. "My success proves that we are never too old to learn and that commitment and dedication pay off. Academic success is available to anyone willing to work at it." Pull out quote to be highlighted in gold box: "Academic success is available to anyone willing to work at it."